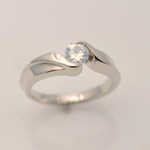 MKWS20414kt palladium white gold,sterling silver mokume gane wedding set with 3stone bezelset diamonds. 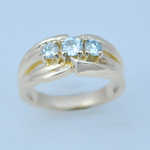 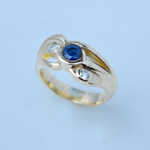 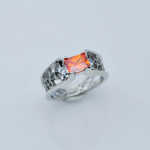 CAD201 14kt yellow gold custom designed ring with .40ctstw diamonds and .40ct sapphire. 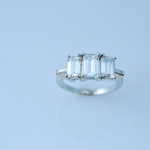 BR207 14kt white gold 4cttw emerald cut diamonds with .40cttw baguettes. 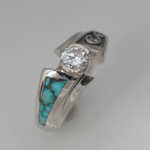 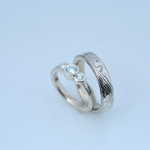 CAD203 14kt white gold diamnd and turquoise customed designed ring. 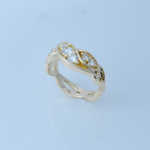 CAD301 14kt yellow gold weave design with .50cttw diamond. 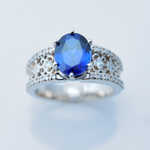 CAD303 14kt white gold filigree style with 3ct lab grown sapphire with .50cttw diamond.